The Colombian-based Panda Group has announced the launch of a cryptocurrency point of sale (PoS) terminal called Xeler that also acts as a portable digital currency automated teller machine (ATM). 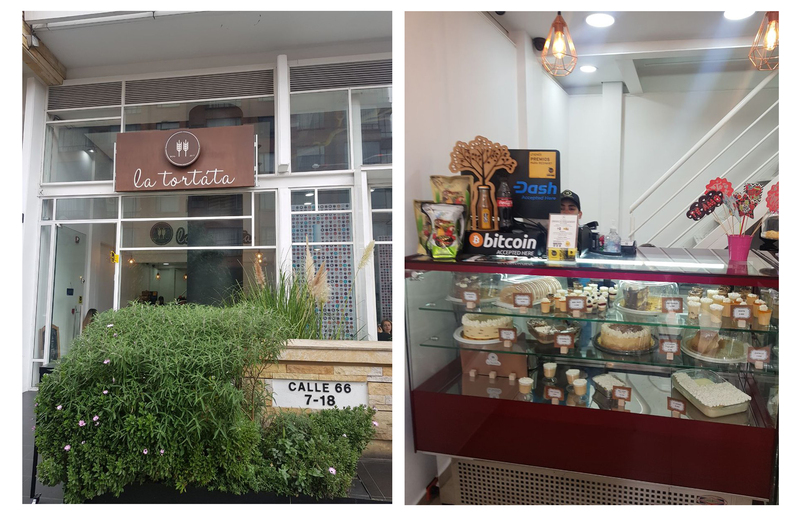 The hybrid solution installed in Bogotá, at the La Tortata sweet shop, allows customers to not only buy baked goods with cryptocurrencies but can also dispense BCH, BTC, and DAI in exchange for Colombian pesos. Panda Group, a company that operates the cryptocurrency trading platform Panda Exchange, has announced the creation of a new brick and mortar digital currency service. 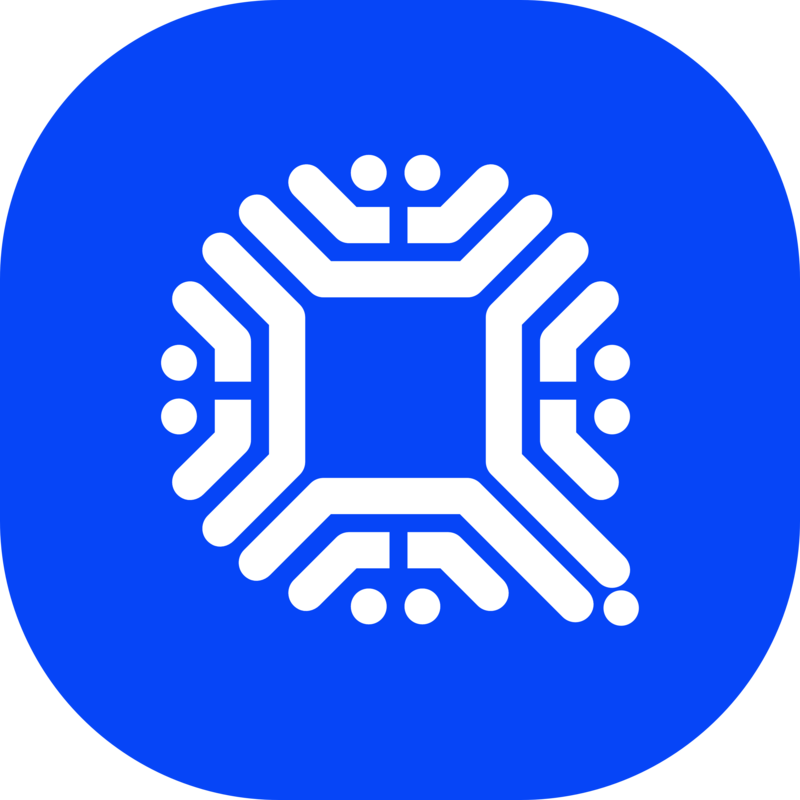 On Jan. 22, Panda installed a new portable point of sale device that allows merchants to accept cryptocurrencies with ease. 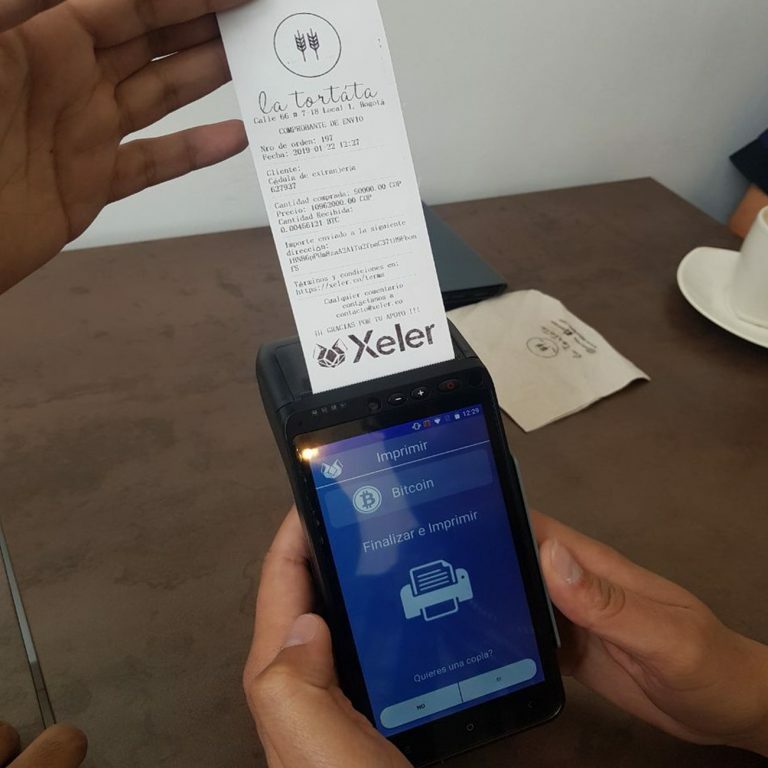 The company’s first installed Xeler device was deployed at the La Tortata sweet shop in Bogotá, so customers can purchase baked goods with their digital assets. Moreover, the machine also allows visitors to conveniently purchase and sell BCH, BTC, and DAI through its integration with the Colombian exchange. Speaking with news.Bitcoin.com, Panda Group’s founder Arley Lozano explained that the machine’s first sale was settled in bitcoin cash (BCH). La Tortata sweet shop in Bogotá, Colombia where Panda’s Xeler machine is installed. Lozano further detailed that the company plans to deploy 20 more Xeler devices throughout the region, due to a recent partnership with a well-known chain of pharmacies. The Panda CEO also told news.Bitcoin.com that the firm is ready to launch 100 hybrid crypto PoS/ATM devices around Colombia and send some to Venezuela as well. As far as commissions, merchants will only be charged for the use of processing sales and the fees are equivalent to alternative payment processor terminals. The device references cryptocurrency exchange rates from the spot market prices in Colombian pesos and Localbitcoins rates. A receipt of the first bitcoin cash (BCH) sale (left), and a view of the Xeler device interface (right). The company also said it will be adding more digital currencies to the platform interface in the future. 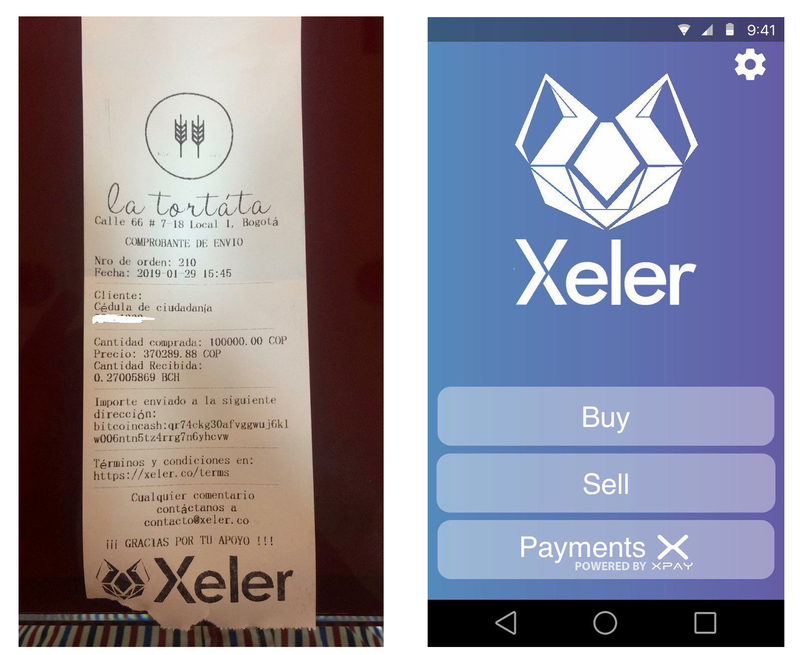 Moreover, with Xeler’s Xpay payment processor system, businesses can settle a percentage of sales in fiat if they do not wish to experience the volatility of crypto prices. Visitors who want to buy or sell cryptocurrencies must undergo a simple registration process, which is performed directly on the device. After the registration is complete, Xeler users won’t have to register again and they can interact with all Xeler devices in the region. Once a purchase is processed, the cryptocurrencies are sent to the customer’s wallet or if they don’t have a wallet, they can obtain a printed voucher for redemption at a later date. What do you think about the Xeler device that allows merchants to sell products for cryptocurrencies but also works as an ATM? Let us know what you think about this subject in the comments section below. Images credits: Arley Lozano, Panda Group, Xeler, and Pixabay.